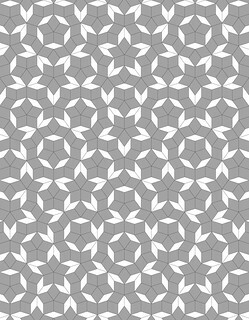 If made with rhombs with 3" sides, this should work out to be right at 70" x 90", with the center of the tiling being at the bottom center. 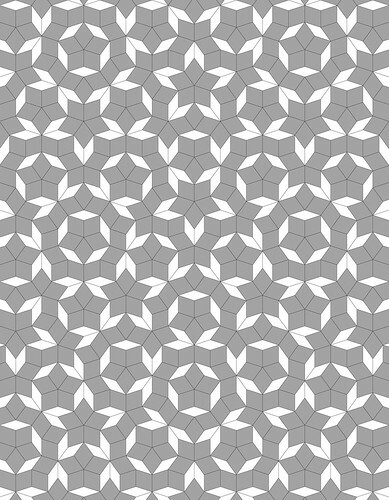 I thought it contrasted nicely with the star pattern at the top. Image created from PDF files generated by Alan Schoen. Used with permission.